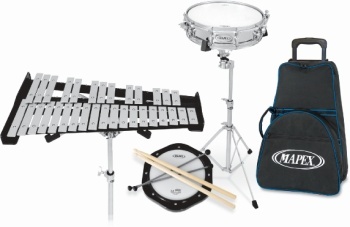 The Mapex MK1432DP Combo Kit Is An Excellent Instrument For The Beginning Band Student. This Kit Qualifies For Our "Rent To Own Instrument Program"
Backpack Carrying Case and Rolling Carrying CaseUpdate Shopping Cart - *Completed*Error on Node: Customer:[email protected] (Customer2 Send): An error occurred while parsing EntityName. Line 17, position 1078.